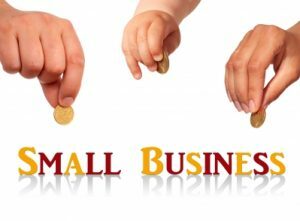 The Palaszczuk Government will establish an Office of Small Business to deliver its Advancing Small Business Queensland Strategy that was announced in the state budget on Tuesday. Small Business Minister Leeanne Enoch said the office will deliver the $27 million initiative in the sector over three years, helping small businesses to create jobs, drive business growth and innovation and build digital capacity. “The Office of Small Business will develop and deliver programs to foster our future entrepreneurs especially women and Aboriginal and Torres Strait Islander people by expanding the Queensland Entrepreneurs of Tomorrow program,” Ms Enoch said. The Minister also announced the creation of a new Small Business Knowledge Hub to research key issues impacting Queensland small business and draw on this to inform and influence policy decision making across Queensland Government. “The Advancing Small Business Queensland Strategy will be our plan to make Queensland the place for small business to start, grow and employ. It will do this by leveraging the Advance Queensland agenda to create jobs, drive productivity and harness innovation.” the Minister added. Ms Enoch underlined that the Strategy had a strong regional focus with initiatives that will build better partnerships with government and regional stakeholders. “Small businesses are in every community and are the backbone of our regions. In Queensland, 97 per cent of all businesses are small and they employ almost half of the state’s private sector workforce,” Minister Enoch said.